Finished! This might not be 'oh so very exciting', because as you might notice, Ulla top is basically the same as the basic sleeveless top made back in Week 4. But this time, I did not draft it from the basic sloper, I used a basic block I created. 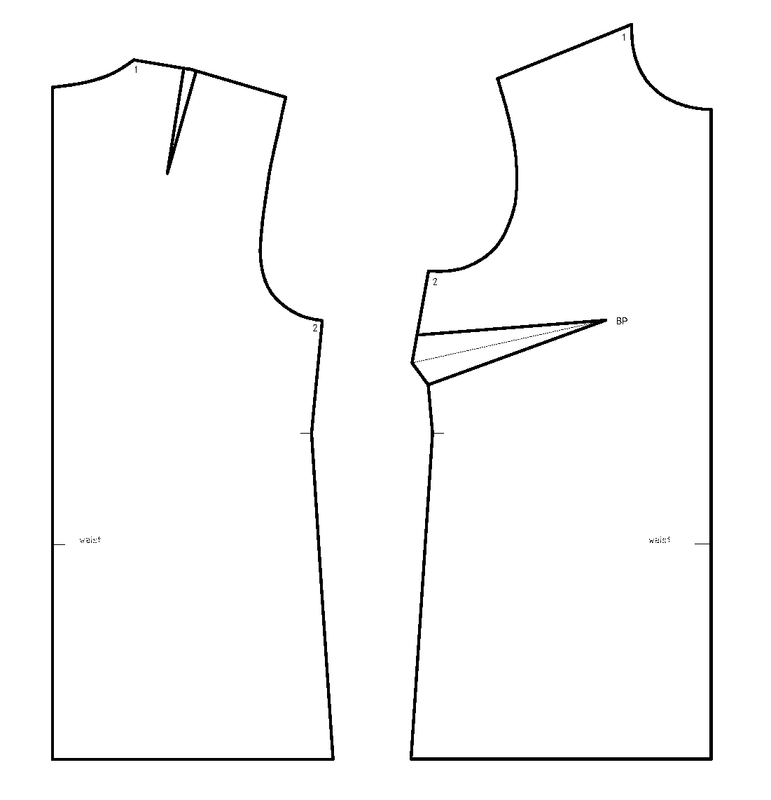 "The most simplified pattern consists of a set of basic slopers, which contains the minimum number of pattern pieces required for a fitted garment, with minimum ease and no seam allowances." "Basic blocks are a set of pattern pieces for a style category such as a princess dress or an A-line skirt. They are free of fashion details and usually contain only the major pattern pieces without finishing details, such as facings and pockets." So the pattern I have created and used to make Ulla, falls under the "basic block" category. 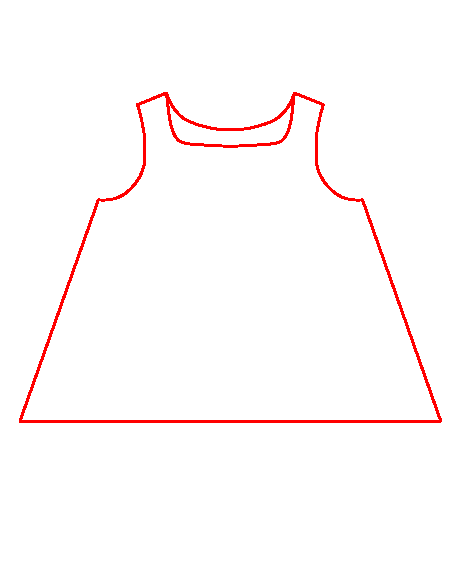 Because it is more than the sloper since it is of a particular style (this one is slightly A-line bodice with some extra ease - so that it can be used for pull-over type of garments). In each of the challenges, we will add different fashion details, to create a different garment. In this particular case, all we did was change the neck and arm openings to create this simple top. For drafting details see the previous post. Here is the muslin. 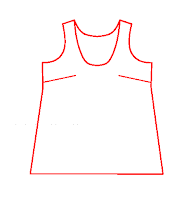 No problems, fits as expected and no changes to the pattern are needed. The fabric I chose for this particular top was this floral - it is very light, crinkle gauze (I am sure this has a proper name), which I bought at Jo Anns many years ago (I am keeping with the promise to use fabric from my stash before buying new). It felt like cotton, but it did not iron like cotton. Iron? Yes, I ironed it lightly because it had transverse wrinkles since it sat folded for a looong time. Otherwise I would not iron it. I have never worked with this type of fabrics before and I was worried about a few things - how am I going to trace the pattern with my marking pen? it's crinkled, it's going to move around...; how am I going to prevent it from stretching while sewing, especially around the neck and arms? So I decided to line it.... I don;t know if this is really lining, but I basically cut two layers - the bottom one in non-stretchy cream cotton (actually it's the muslin; I made this decision before doing the muslin, and I was confident that I will not have any problems, so I chose a fabric I could use in the finished garment) and the top one the print fabric. And... here it is. The print fabric was tricky, but having the bottom layer really helped, because I knew what the finished dimension is, so I didn;t have to worry if I am stretching the fabric or not. I had to iron it a couple of times - when I did the darts and after I finished sewing around the neck and arms, to have it lay down. After that I had a minor panic attack. The fabric got all bent out of shape. But then it settled, and this is what it looks like now. I serged the hem. I like it on these kinds of sleeveless tops made of light airy fabrics. The pattern modifications I did to get from the basic block to this pattern were a bit different from what I did in Week 4 when I started from the sloper. At some point I thought this would come out wider in the bottom, more A-line. But it didn't. I am really happy how it turned out. And it was simpler to make than the original one (in Week 4), which was the goal. This is a very simple top to make. You don't have to make it in two layers. You could use bias tape to finish arm and neck openings (like I did in Week 4), or a facing. I love the blouse and your choice of fabric.